I always enjoy a good old fish pie. However it is a warming, autumn/winter comfort food. In the summer I like to eat lighter meals and this one is perfect. I have combined the classic fish pie flavours with summer vegetables finished off with a crispy cheese topping. This meal is not only full of summer flavours but only takes 30 minutes to cook so you are not spending a long time in the kitchen with the oven on! 1 - Cook the cubes of potatoes in a hot air fryer for 30 minutes with a tsp of parsley and 1tbsp of olive oil. If you do not have a hot air fryer boil in water for 5 minutes and then roast in a pre heated oven at 200C for 25 minutes. 2 - While the potatoes are cooking heat a little olive oil a large frying pan and add the fish. Fry over a medium heat for 5 minutes. 3 - Add the onions, courgettes, red peppers, mushrooms, baby tomatoes and 1tsp of parsley to the pan and cook over a medium heat until the fish is cooked through and the vegetables have softened. 4 - Transfer the fish and vegetables into an oven proof dish and top with the cooked cubes of potato. 5 - Sprinkle over the Pilgrims Choice Mature Cheddar Crumbles with Black Pepper and place under a high grill until the cheese has melted and is beginning to brown and serve. This is such a tasty, easy and quick meal that all of the family enjoyed. If you love fish and the flavours of summer this dish is for you! 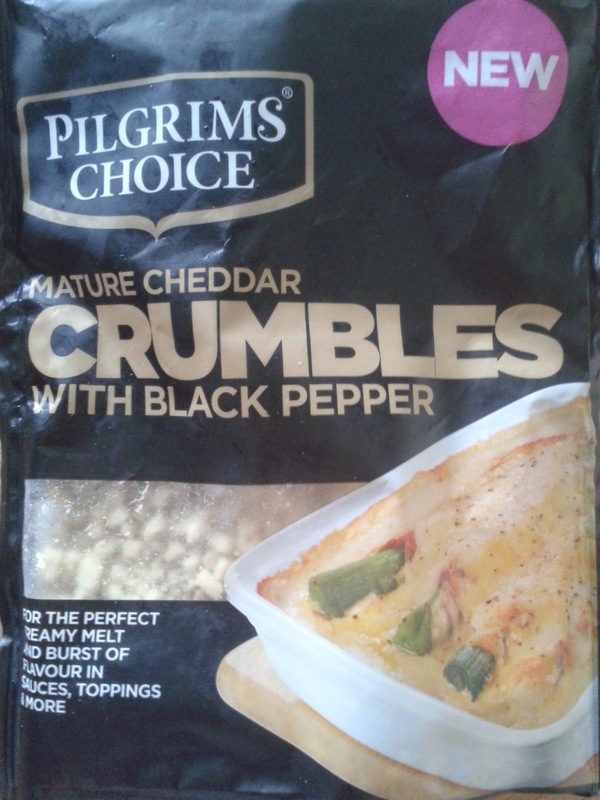 Disclosure: I was kindly sent some Pilgrims Choice Crumbles to try for the purpose of this post. No payment was received. All views and opinions are my own and 100% honest. For more information on the new crumbles visit Pilgrims Choice. I've never thought of putting veg in a fish pie, but this sounds like the perfect combination, so I'll definitely have to give it a try now. This looks so good - really colourful compared to some fish pies too! I've never heard or seen this recipe before, but I'm glad that I have now. Thanks for the recipe I would love to make this for dinner tonight. You end result looks fantastic!